Since our founding in 1986, the Yoshida Institute of Japanese Language has helped over 4,500 students learn Japanese. A friendly atmosphere among students from many different countries. We make every effort to provide our students with what they need most for their study, along with any assistance they may need to live in Japan. 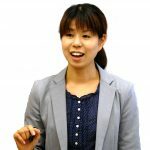 Some students want to learn Japanese to study further at a university or technical college, while other students study primarily for business purposes. We tailor our programs to fit these needs so that every student will be able to use Japanese successfully in the future. 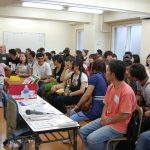 Our full-time, intensive classes allow students to completely master Japanese, whether they start as a complete beginner or as an intermediate or advanced student. The school year consists of four three-month terms, during which times students practice their Japanese daily. Students in the Beginning level classes cover basic grammar need to understand daily conversations in Japanese and learn to read and write hiragana and katakana, along with a small number of Chinese characters (kanji). As students continue to the Intermediate and Advanced levels they develop the skills needed understand increasingly complex conversations and readings. As part of their normal coursework, students at Yoshida typically prepare for one of the major proficiency examinations given in Japan. This allows students to benchmark their progress and develop sufficient language skills to enter a Japanese university, college or technical school. For most students, this means preparing for the Japanese Language Proficiency Test(JLPT), given twice a year. Other students need only take the Japanese Student Exam. Our testing preparation page describes the tests and who needs to take them. To continue to the next level, a successful candidate needs a 60%(or 70%) score or higher on the final exam, 80% or better attendance.